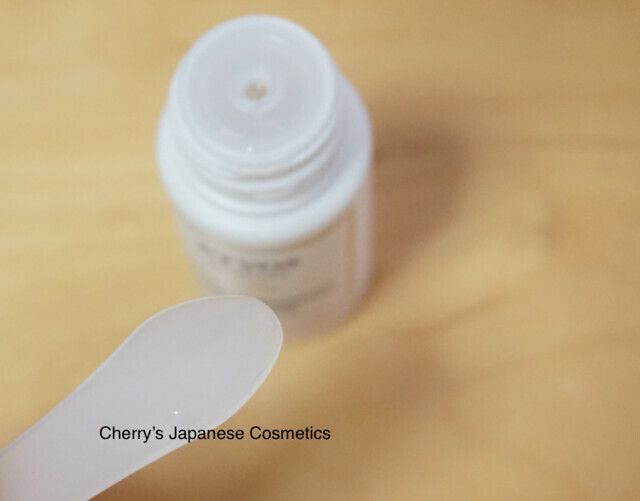 I often ask some of my friends, Japanese, what they are using for their skin care and makeup. Etvos is by one of the answers. Anyway, according to her, she is also using their “Mineral Foundation”, but to be honest I am not pretty much sure about the difference between those foundations and loose powders. Anyway, as her recommend, I bought a kit. It is called a “travel Kit”, and they accept the repeat order, and if you want to have this kit, we can deal it. Let me share with my review. The first step is a face wash. Seems they do not have big variation of face wash. They claim they are using ceramide, and it is good for moisturize your skin. As a soap, this looks just a potash soap, and the smell is also the typical potash soap. In person, potash soaps are good to cleanse my skin well — not super strong, but they cleanse too much. I was afraid of it is too strong for me. It was not pretty easy to earn a foam. I recommend to use warm water, and foaming net. 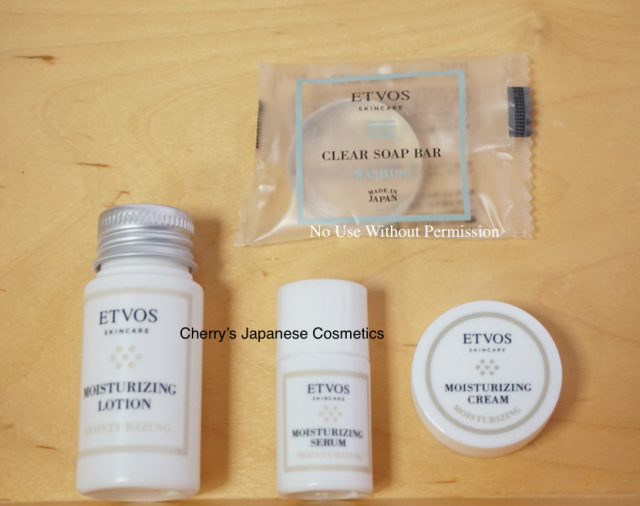 For a lady who recommended Etvos to me, this soap is good for her skin, but for me, yes… afterward, I felt my skin is dried. Probably, this is not for super dry like me. This is designed as body and face soap, I may use this for my body. The full size is 80g. This lotion is one of the favorite of a lady who likes Etvos. This lotion is sticky, and I like sticky lotion. I apply on my hand, and like I do in Fancl lotions, I do not apply so much, and moisturized my skin pretty comfortably. The scent is lavender, and it is not strong. It is boosting my damaged skin (due to the season) is recovering, but when my skin was super damaged, I felt small sting, quickly gone. If you have super damaged skin, I do not recommend this lotion, but when your skin is getting better, it will boost. After the lotion, they set to use the Moisturizing Serum. I also felt sting when my skin was super damaged, and even my skin was recovering. When I apply this my skin is healthier, there are no problem. The sent is also lavender, and it is feint. In person, I am not pretty much sure about this emulsion is working pretty good. But according to a lady who ordered us (yes, it was really funny that just after I had ordered this kit to the store, she asked us to custom order :D), she liked this so much. I liked this cream so much. I did not use this when I had a super damaged nor damaged, I learnt from the serum. The cream is harder, I think you may see the texture. 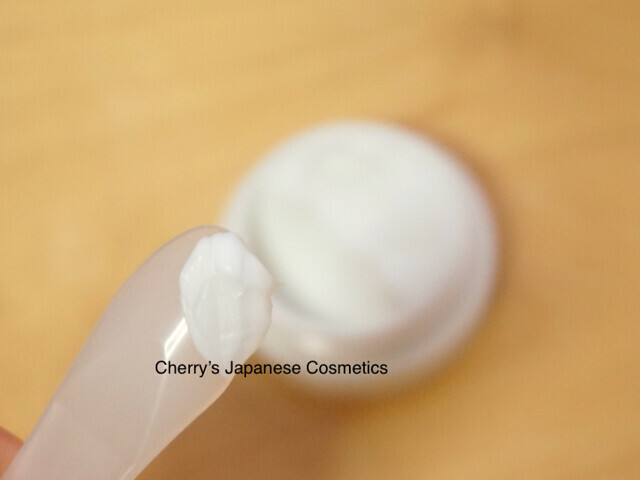 It is not melt on my skin, and I liked apply this on heavier layer as my night cream. When I apply this cream, I do not use the serum. The serum is for daytime, and I use this cream for night. To be honest, we are wondering whether we are going to deal this brand or not. We should better to remove some brands. If you want to have this brand, please feel free to ask us. We need specific product name and quantity of each. I also bought their acne care line, and will review them later.